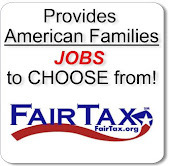 Tags: Democrats, lost jobs, jobs, credibility, Harry Reid, Nancy Pelosi, Joe Biden, Chuck Schumer, Patty Murray To share or post to your site, click on "Post Link". Please mention / link to America's Best Choice. Thanks! Three Million People Died At Auschwitz-BirkenauGary Bauer, ARRA News Contributing Author: Sixty-six years ago today, Auschwitz-Birkenau, the largest of the Nazi death camps, was liberated by the Soviet Army. More than a million people, mostly Jews, were murdered there. In 2005, the United Nations designated January 27th as "International Holocaust Memorial Day" to honor the victims of the Holocaust and to inspire the nations of the world to make sure such genocide never happens again. "It is not only a threat against us, because it always begins with the Jews but never ends with the Jews. The hatred of Jews kindles an overall fire, and I expect that on this day, when I applaud the world for marking the most heinous crime in world history and the history of our people which was perpetrated against our people -- I hope others will also learn the lesson. We already have. "Gary Bauer is a conservative family values advocate and serves as president of American Values and chairman of the Campaign for Working Families. Tags: Gary Bauer, Campaign for Working Families, Israeli, Prime Minister, Benjamin Netanyahu, Holocaust To share or post to your site, click on "Post Link". Please mention / link to America's Best Choice. Thanks! Posted by Bill Smith : Post Link --> 5:24 PM 0 Comments - Share Yours! Tags: PolitiZoid, comedy, liberals, agendaTo share or post to your site, click on "Post Link". Please mention / link to America's Best Choice. Thanks! 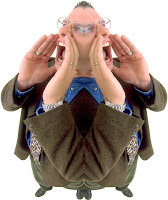 Posted by Bill Smith : Post Link --> 7:36 PM 0 Comments - Share Yours! 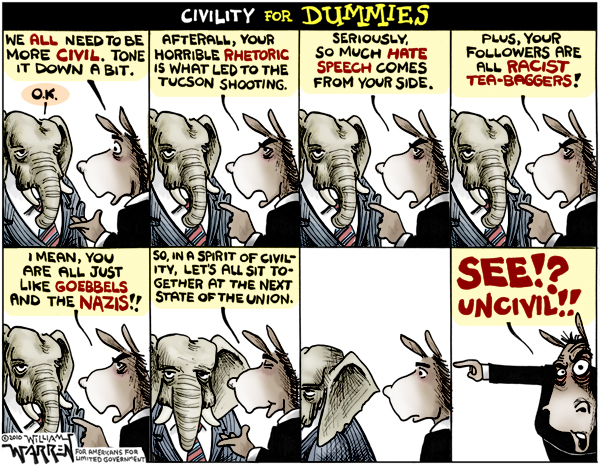 Tags: Civility for Dummies, Democrats, Hate Speech, Political Cartoons, Political Rhetoric, Racist Tea-Baggers, Republicans, State of the Union, William Warren To share or post to your site, click on "Post Link". Please mention / link to America's Best Choice. Thanks! Posted by Bill Smith : Post Link --> 4:42 PM 0 Comments - Share Yours! 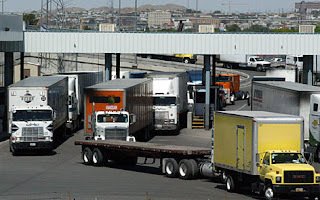 Tags: Phyllis Schlafly, US Highways, Mexican Trucks, Meican truck srivers, lost American jobs, unsafe trucks, highway hazards To share or post to your site, click on "Post Link". Please mention / link to America's Best Choice. Thanks! Posted by Bill Smith : Post Link --> 5:52 PM 0 Comments - Share Yours! Tags: Obamacare, states, suing, Heritage Foundation To share or post to your site, click on "Post Link". Please mention / link to America's Best Choice. Thanks! Posted by Bill Smith : Post Link --> 7:04 PM 0 Comments - Share Yours! Tags: Republican, Republican National Committee, RNC, chairman, Reince Priebus To share or post to your site, click on "Post Link". Please mention / link to America's Best Choice. Thanks! Posted by Bill Smith : Post Link --> 7:55 AM 0 Comments - Share Yours! 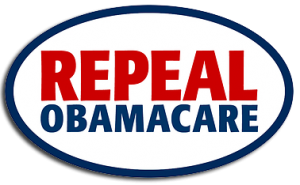 ARRA News Service - By Howard Rich, Chairman, Americans for Limited Government: Lost amid the partisan posturing over the proposed repeal of ObamaCare is a stark, unavoidable fiscal reality. He’s not the only one voicing skepticism. “The CBO, CMS, and even the IMF have all discredited the idea that ObamaCare would reduce the deficit, because they all question the sustainability of ObamaCare’s spending ‘cuts,’” writes Michael F. Cannon, Director of Health Policy Studies at the Cato Institute. Congress Has Time: Gross federal debt has reached $14 trillion. Ongoing deficit spending (projected at $1.4 trillion for 2011) means the ceiling of $14.29 trillion will initially be reached around mid-March. Treasury’s traditional financial toolbox and revenue surges in April and June should delay the final moment of reckoning to mid-May and possibly as late as July. Full Consideration and Deliberation: Members of Congress have time for full consideration and deliberation before making a decision on the debt limit and necessary spending cuts. No Risk of Default: Keeping the debt ceiling at its current level would not, in and of itself, risk default on the debt. Federal taxes will still be collected by the Treasury from which interest and principal on the debt should be paid. Since default is not immediately a realistic scenario, the federal government’s credit-worthiness would not be damaged. Time to Demonstrate Seriousness: Congress has many options regarding the debt limit, and it should not unduly rush into a decision as if there is some imminent crisis pending. Instead, Members should promptly have a full discussion of the level of debt they want to set and begin immediate, substantial spending cuts to demonstrate the seriousness with which they take the nation’s fiscal problems. These should be followed by crucial additional changes such as hard spending caps and entitlement reforms that would return the nation to fiscal sanity and keep it there. Immediate Spending Reductions a Necessity: Any increase in the debt ceiling should be accompanied by immediate, substantial spending reductions along with strong new rules such as hard spending caps to require continued, sharp spending reduction in future years—thus putting the budget squarely on a path to fiscal responsibility through lower spending, taxes, and borrowing. Increases without these steps are not acceptable. One Option: One option Congress could also consider would be to provide only short-term increases to the debt ceiling in order to provide additional opportunities to force critical spending cuts through the legislative process during the course of the year. Without a Debt Ceiling Increase, Spending Must Be Cut Now: Holding the current debt ceiling in place would require eliminating all deficit spending. For the remainder of the fiscal year, this would entail immediate spending cuts of approximately $150 billion per month; the 2012 budget would have to eliminate the projected $1 trillion deficit. These cuts would best be established through prompt legislation. Choices Need to Be Made: Absent legislative direction, once the debt limit is finally reached, the Administration would be required to pay the government’s bills without additional borrowing. Some payments would likely occur normally without reduction, such as interest on the debt and programs with dedicated revenues like Social Security. However, the Administration would need to determine which others would be subject to cuts and or delays. Tags: Heritage Foundation, Debt Ceiling, Factsheet, time, options, actions To share or post to your site, click on "Post Link". Please mention / link to America's Best Choice. Thanks! by Sam Adams MMIV: A story that’s been under the radar recently is the impact of the Obama administration’s delay in relaxing its drilling moratorium from last year. The Obama administration’s drilling moratorium continues to have a real impact on the American economy and energy prices. It’s long past time for the administration to seriously re-examine its policies on domestic oil production. ARRA News Service - Sam Adams MMIV is the pen name for an un-named beltway source. While receiving information from many sources, this Sam's words sometimes need to be credited. Thanks to all the Sam and Abigail Adams patriots who speak up for America. 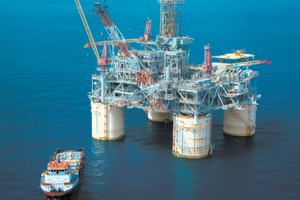 Tags: Obama Administration, Bureau of Ocean Management, drilling moratorium, domestic, offshore, oil production, oil, gasoline, U.S. Energy Information Administration, To share or post to your site, click on "Post Link". Please mention / link to America's Best Choice. Thanks! Business executive Herman Cain kept his promise to Neil Cavuto today by announcing first on Your World With Neil Cavuto that he has officially established a presidential exploratory committee, "Friends of Herman Cain," to "test the waters" for a possible White House bid. "After receiving overwhelming encouragement from supporters and donors across the U.S., I have decided to form a presidential exploratory committee," Cain said. "During this time, we will examine the extent of financial resources and grassroots support that would be critical to winning the Republican nomination. Cain is best known for his role as President and CEO of Godfather's Pizza, Inc., where he led the company from the brink of bankruptcy to profitability in just 14 months. He has also served as an executive of other Fortune 500 Companies, such as Pillsbury and Burger King. Cain hosts a nightly radio program, "The Herman Cain Show," one of the highest-rated shows in the Atlanta media market. He is also a syndicated columnist. "Friends of Herman Cain" is a registered non-profit in the state of Georgia, and the names of exploratory committee members will be released at a later date. Tags: Herman Cain, 2012 Election, presidential candidate, exploratory committee, Neil Cavuto To share or post to your site, click on "Post Link". Please mention / link to America's Best Choice. Thanks! Posted by Bill Smith : Post Link --> 7:16 PM 0 Comments - Share Yours! Sen. Republican Leader McConnell was in his home state of Kentucky [the Senate is in recess until Jan 24th] and spoke to students in Shelbyville about the tragic shooting in Tucson and how Congress will move forward. McConnell said, "When an elected representative is gunned down in the very act of exchanging ideas with his or her constituents, democracy itself is attacked." “Later, a student asked McConnell if he felt his safety had been compromised since the Arizona shooting. “McConnell responded that attacks against members of Congress have been rare in the U.S.
Gary L. Bauer:"Yesterday a fake voter registration document circulated online purporting to show that Jared Loughner is a registered Republican. It was a well-done fake, except that the left-wing dope who produced it spelled Tucson incorrectly! Loughner registered to vote in 2006 as an independent. He voted in 2008. We don't know for whom, but I doubt it was for the McCain/Palin ticket. Interestingly, in 2010 when Congresswoman Gabrielle Giffords ran for reelection and was challenged by a Republican candidate strongly supported by Tea Party activists, Loughner did not even bother to vote! Here is more evidence of the media's bias: CBS was so eager to gauge the impact of its "spin machine" that it has already conducted a poll asking who or what is responsible for the Tucson shooting. The good news is that the results were a big disappointment to Paul Krugman, Keith Olbermann and their ilk. According to the poll, 57% of Americans do not believe that "overheated" or conservative political rhetoric was responsible for the attack on Rep. Giffords. Unfortunately, 42% of self-identified Democrats did buy into the smear, which is a sad indication of how far paranoid extremism now reaches into that party. Democrat Group Using Gifford’s Shooting For Fundraiser! George Will in an article makes the following insightful point: "It would be merciful if, when tragedies such as Tucson's occur, there were a moratorium on sociology. But respites from half-baked explanations, often serving political opportunism, are impossible because of a timeless human craving and a characteristic of many modern minds. Tags: Loney Left, Arizona Shootings, Gary Bauer, Bill Wilson, George Will, Warner Todd Huston, Mitch McConnell, blame game, democrats, Compiled by the ARRA News Service. 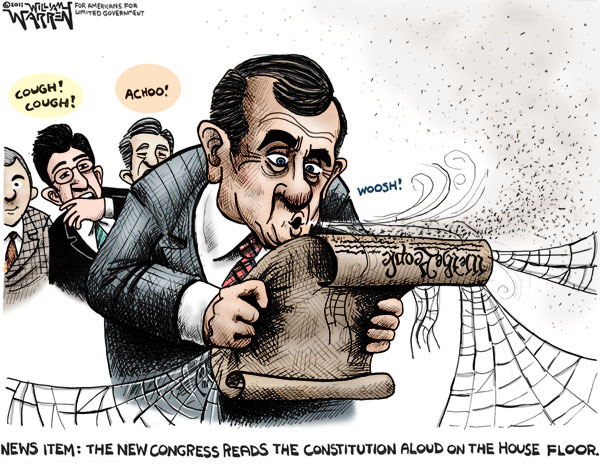 Tags: US House, US Constitution, Read the Constitution, Congress, Congress Reads the Constitution, Constitution, Political Cartoons, William Warren To share or post to your site, click on "Post Link". Please mention / link to America's Best Choice. Thanks! Posted by Bill Smith : Post Link --> 1:31 PM 0 Comments - Share Yours! 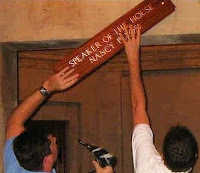 Tags: Speaker of the House, Nancy Pelosi, John Boehner, US House To share or post to your site, click on "Post Link". Please mention / link to America's Best Choice. Thanks! Posted by Bill Smith : Post Link --> 11:36 AM 0 Comments - Share Yours! Tags: Obamacare, government health care, higher costs, seniors, retirees To share or post to your site, click on "Post Link". Please mention / link to America's Best Choice. Thanks!